With over 80 percent share of the global smartphone market, Android is by far the largest mobile operating system in the world, way ahead of its nearest (and only) rival, iOS. However, even as the Google keeps extending its lead over Apple among retail consumers, the enterprise sector remains a different story. Concerned with reports about the alleged security issues in Android, most businesses tend to prefer Apple’s mobile operating system, even though Google continues to implement new measures to make Android more enterprise-friendly, including rolling out enhanced security features, such as ‘Strictly Enforced Verified Boot‘ and ‘Google Play Protect‘. Now, the company has launched the new ‘Android Enterprise Recommended‘ program that it hopes will make it easier for businesses to choose Android devices to deploy for their employees by raising the bar of excellence for enterprise devices and services. To gain the certification, Android devices must meet some stringent hardware and software requirements, as seen in the list below. Other apps: Contacts, Dialer, Settings, etc. The one interesting thing, however, is that the security update support needs to be only up to 90 days, which is something that probably won’t inspire a lot of confidence in most businesses. Either way, you can check out the full list of requirements by clicking through this link. 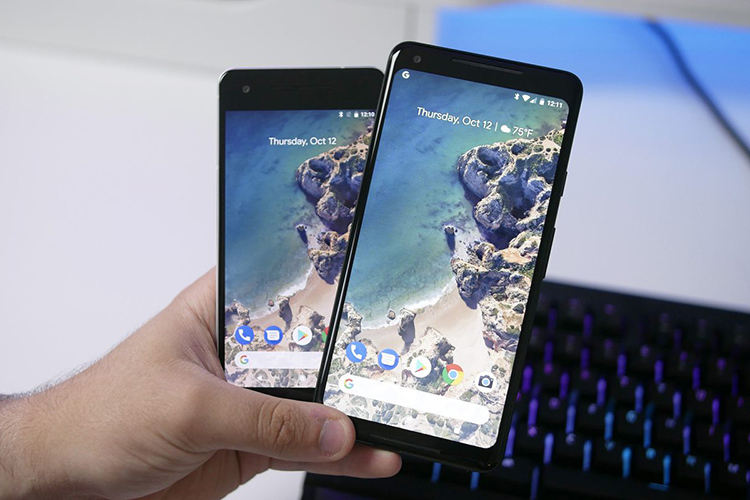 Google says that it plans to add more devices to the program going forward. The company also says that, the program will include more OEM partners, including ones that build specialized rugged devices. It will also include mobile carriers and system integrators.